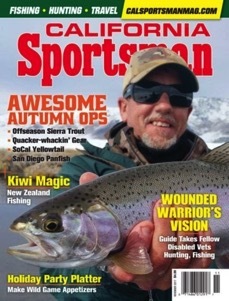 Get CALIFORNIA SPORTSMAN MAGAZINE for 1 year with your paid admission! Simply fill out a form at the Show and drop it in the collection box. Offer good for 12 issues, a $29.95 value! Current subscribers get an additional 12 months added to your subscription. GIVEAWAYS • CONTESTS • PRIZES! 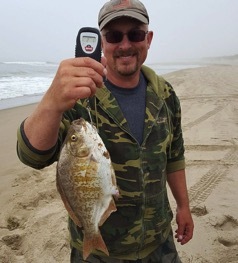 WIN WITH OREGON ADVENTURE COAST & BASIN TACKLE ROB! 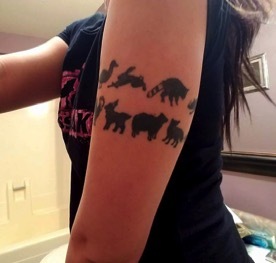 Upload a pic of your WildlifeTattoo and qualify to win a $100 certificate to Fine Line Tattoos 2531 Victor Ave, a Guided Fishing Trip, Dinner at Dickie's BBQ and four passes to the NorCal Boat Sport and RV show! Now Show Us Those Tats! Ashley won last year with this tattoo!